I typically gravitate toward muted cool tones and deep jewel hues, but I’ve found that as summer begins to wind down, I’m suddenly drawn to bright, saturated colors mixed in with black and white geometric prints. Whether it’s friendship bracelets stacked high on your wrist or a quirky pillow tossed irreverently onto a couch, there is just something about that crisp, cheery contrast that’s hard to resist! I need to make that cactus pillow. 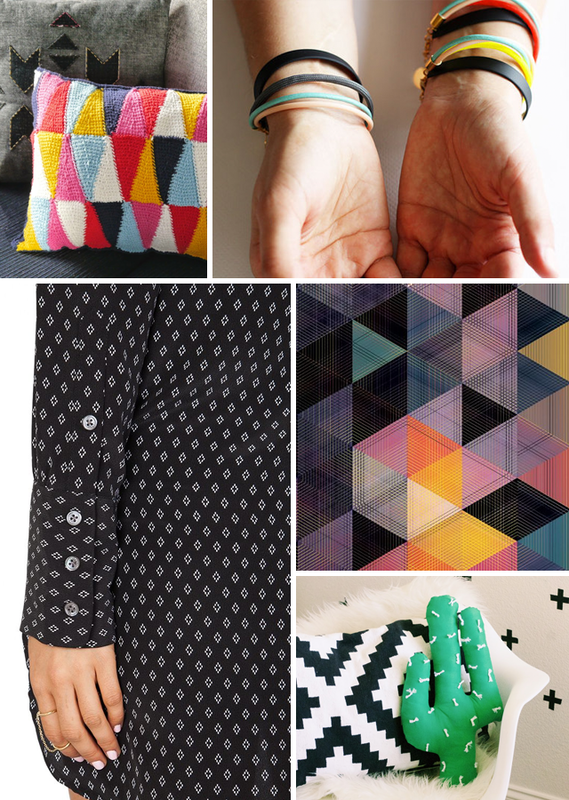 How fun would it be to experiment with different shapes and subtly patterned fabric? If you’re in the mood for late summer brights, too, check out DEARBORN & ELM’s Elastic Hair Ties on Etsy. We’ve got beautiful colors that are perfect for transitioning from steamy August afternoons to breezy September evenings. Our SANGRIA set is available for $7.25! You might be asking yourself, “What exactly is DEARBORN & ELM?” In short, D&E is a handmade goods online shop set to launch on Etsy in the very near future. DEARBORN & ELM is a collaboration between Lauren (me!) over here at FOLKLORE and the other creatives in my life. 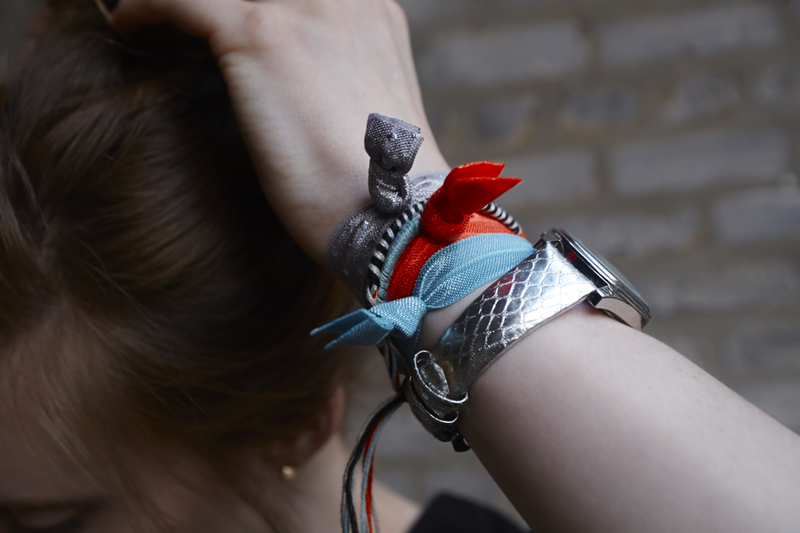 DEARBORN & ELM Elastic Hair Ties are a modern and stylish alternative to the boring scrunchies of decades-past. 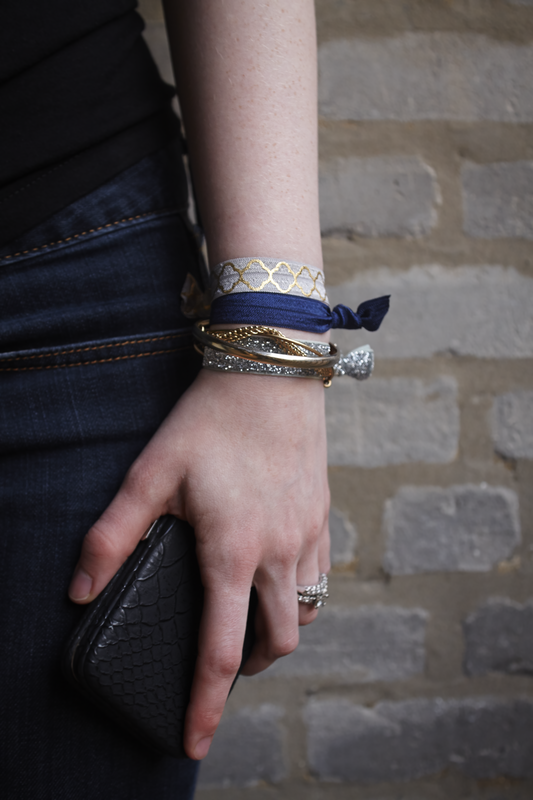 This fancy hair accessory doubles as a comfortable bracelet, keeping a stylish ponytail or trendy braid always at hand. Made of soft, stretchy satin, the fabric won’t snag your lovely locks or leave behind those awkward creases. Heat-sealed ends prevent fraying, letting you play all day without worry. 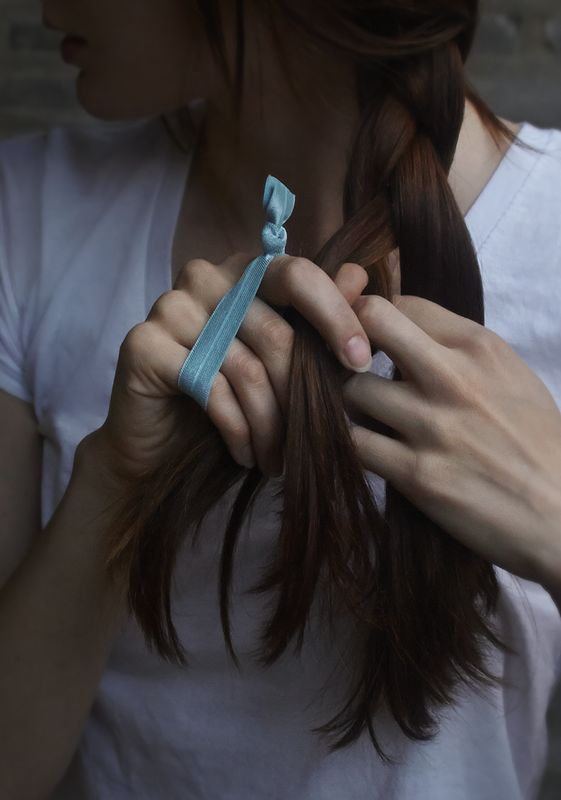 Refresh your routine with DEARBORN & ELM‘s Elastic Hair Ties that are gentle on your hair and on your wallet. Follow DEARBORN & ELM on Twitter and check back with FOLKLORE for updates. We will be giving away a free set of hair ties before we officially open shop on Etsy!